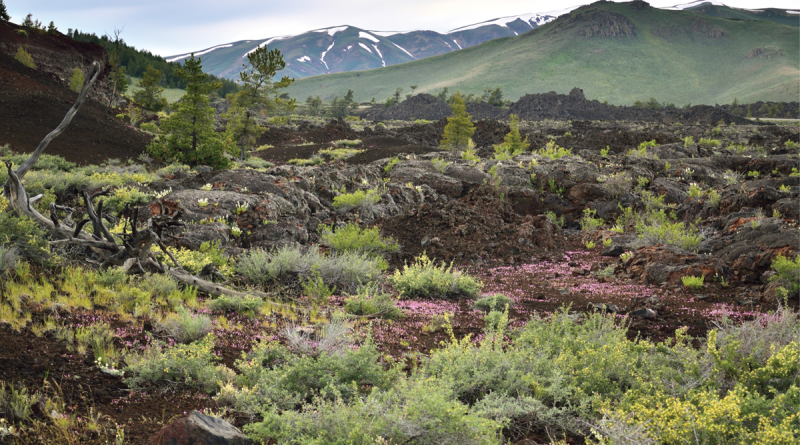 This is how one 19th-century visitor described the lava fields of south-central Idaho, the area which would become Craters of the Moon National Monument & Preserve. 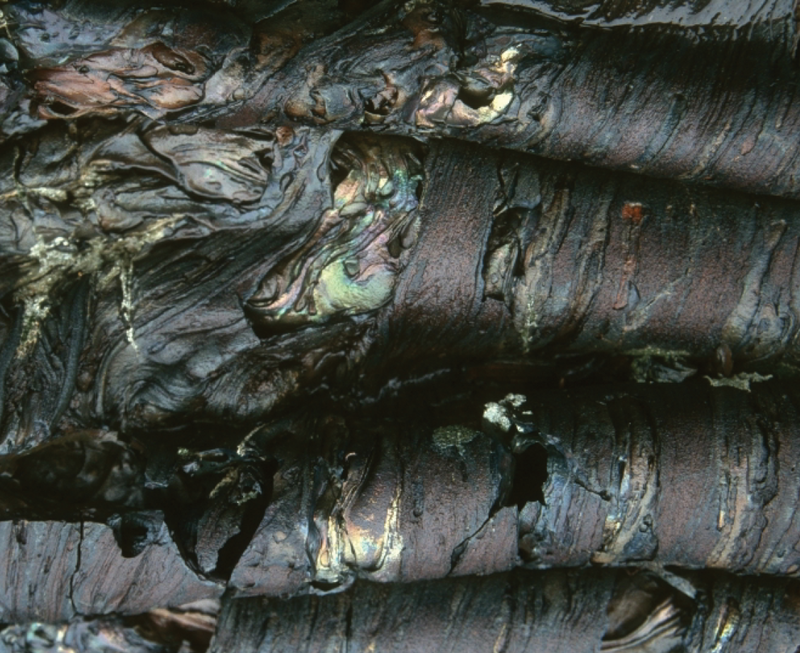 But, as I have often said, black vomit is in the eye of the beholder. 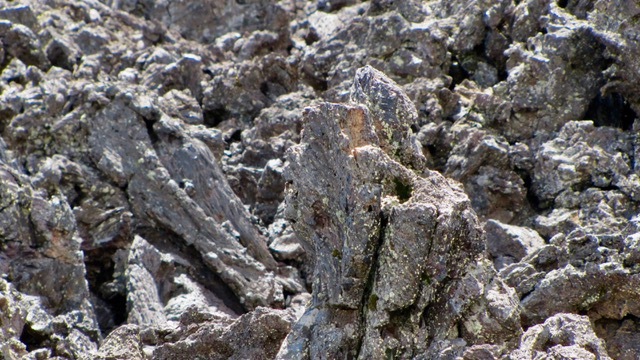 Craters of the Moon is indeed full of strange, dark and vomitous-looking rocks. This gives it, as the area’s name implies, a very unique lunar look. 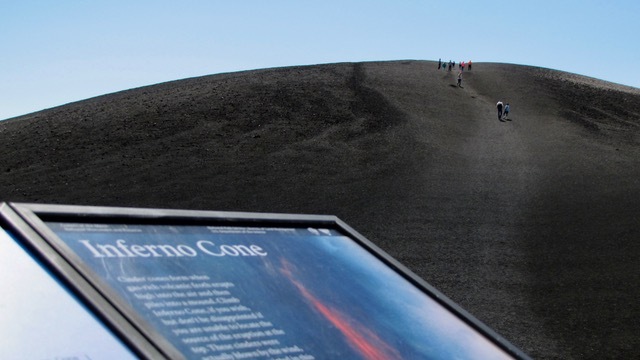 Gazing out over thousands of acres of blackened landscape, you see a geological and volcanic wonderland. Sadly, being neither a geologist nor a vulcanologist, here is my half-baked explanation for why the monument looks the way it does. Impressed with my scientific writing so far? Just wait. The monument’s unusual features and appearance come from events that took place thousands of years ago. While I was just a child then, I’m told it has to do with lots of pressure, eruptions, the ground being stretched and magma. 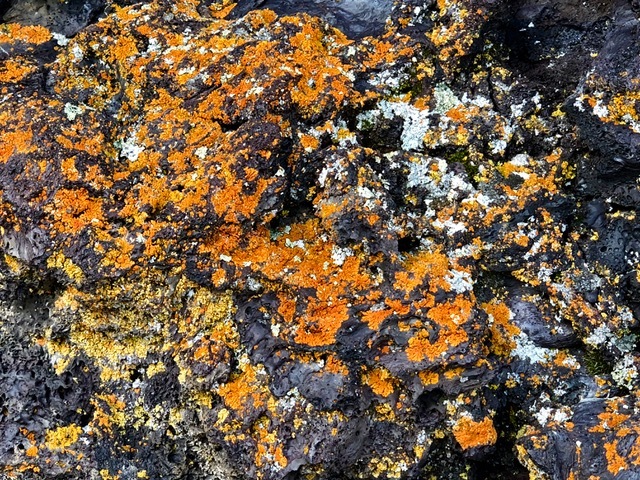 Magma is, of course, molten rock that’s underground (it becomes lava when it gets above ground). Magma, however, should never be confused with MAGA. 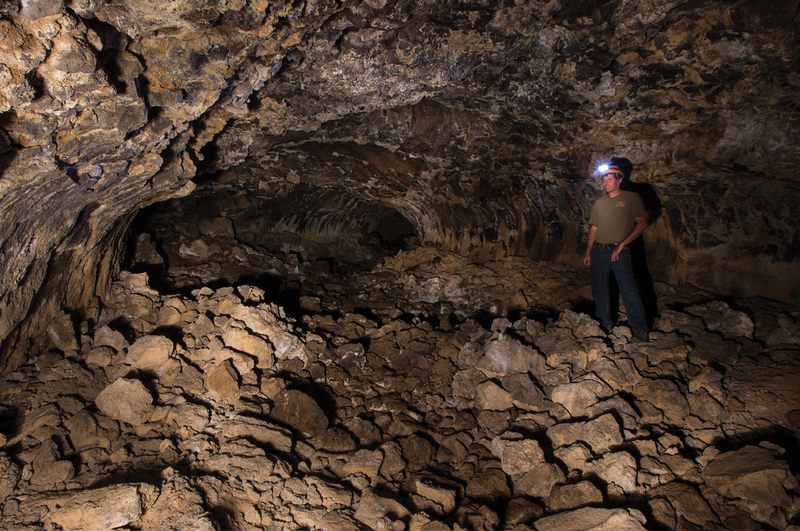 Now, in addition to magma, lava and volcanic fragments, you will find a number of caves at Craters. Notice I said “you” will find caves. This stems from the fact I refused to look for them. While caves, per se, aren’t necessarily bad, it’s the creatures that live inside them that I have issues with. Yes, I am referring to bats, and bats freak me out. They’re sinister-looking creatures of the night that can carry serious viruses as well as your typical assortment of STDs (allegedly). 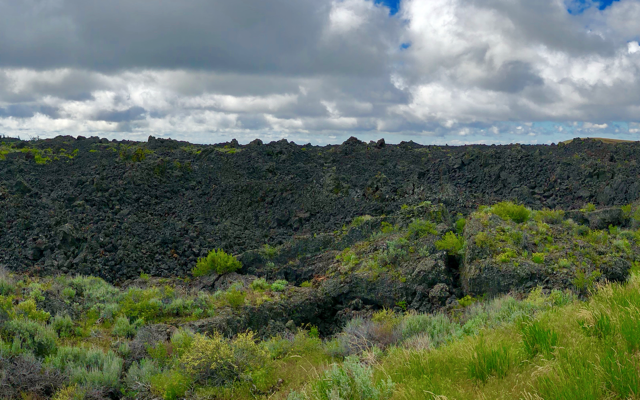 Anyway, as I was saying, Craters of the Moon is really cool. 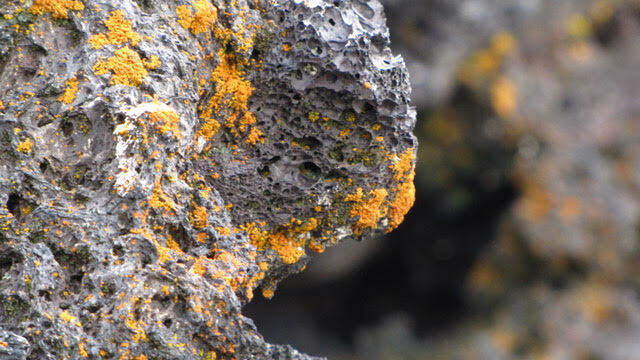 As I drove along the seven-mile-loop road, I was pleasantly surprised to see so many splashes of color. The tiny spring flowers of early June were in bloom. A magnificent yellow bird flew alongside my car for part of the journey (I have a minor in ornithology). 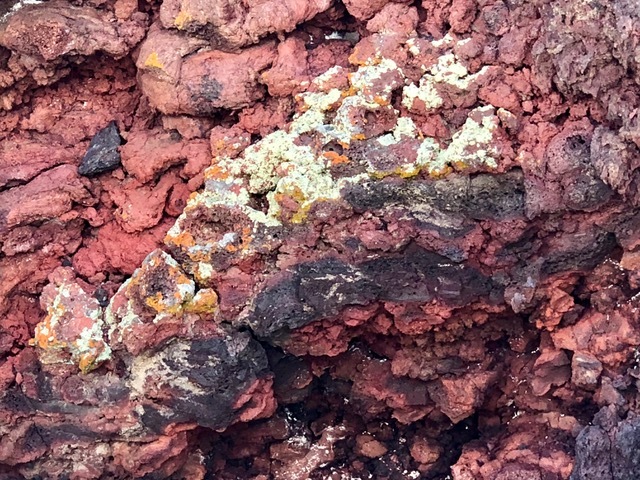 Also, many of the volcanic rocks were dotted with mysterious specks of color that I surmised might be lichen (slow-growing plants). To my (un)trained geological and scientific eye, this “peculiar” monument didn’t make me think of the moon. Instead, it unearthed (pun intended) a long-lost childhood memory. As I made my way around the monument, I thought about the Island of Misfit Toys, which was a refuge for odd and unwanted Christmas presents in the 1960s stop-motion-animation classic Rudolf the Red-Nosed Reindeer. While Craters might not have the jaw-dropping beauty of the Grand Canyon or Yosemite, it does have a certain charm. It’s different, misshapen and a bit of an ugly duckling. Its imperfections are relatable, very much worthy of our admiration and love. Just like the misfit toys. 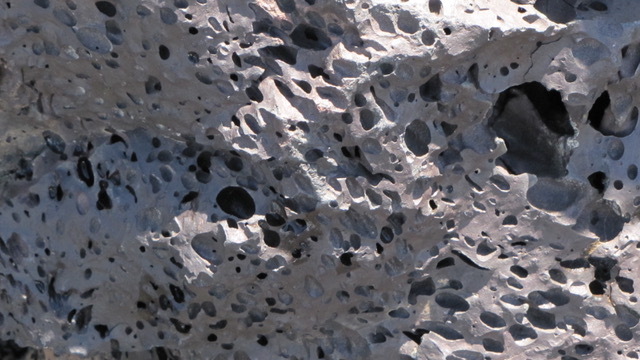 Now, to placate my demanding editor, I will end with some useful information about visiting Craters of the Moon. It’s about a four-hour drive from Salt Lake City. There isn’t necessarily a lot of lodging nearby, so I overnighted in Ketchum, Idaho, where I found a nice affordable hotel and some quality food (and wine). In the morning, I made a leisurely hour and a half drive to the monument. While it may sound “batty” to say so, I would heartily recommend adding some black vomit to your summer schedule.